Disclosure: We were given tickets in exchange for our honest review. The opinions are 100% my own. We recently had the awesome opportunity to head to Chicago, Illinois, and check out all the awesome family-friendly activities across the city. 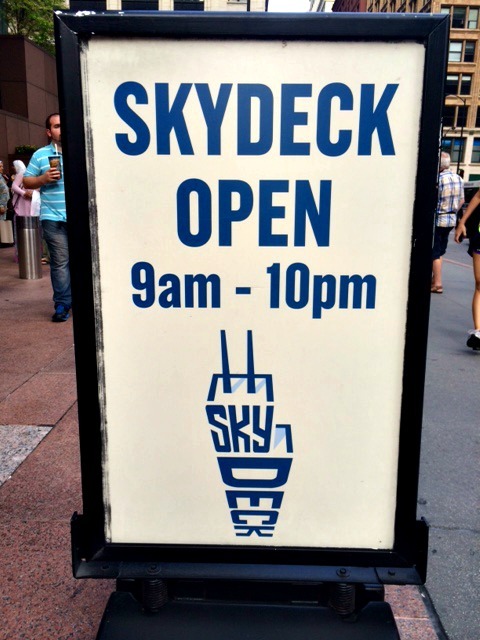 Here’s all you need to know about one of our favorite attractions – the Skydeck! 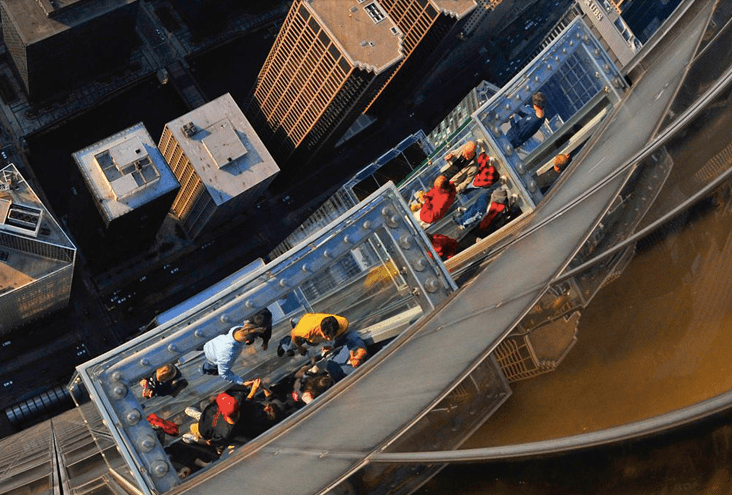 I have always heard so much hype about the Skydeck in Chicago, but I have a love/hate relationship with heights, so I’ve always remained unsure. Not this time! I made it a huge priority to take my family all the way to the top, and show them who’s boss! Upon arrival I was a little worried because the line was super long. In fact, I heard one of the staff members say it was over an hour wait time to reach the top. Not good if you have little ones with you. Thankfully though, we had a priority pass (available for purchase), and we were able to get in line (after having our picture taken) and watch some cool “fun facts” about The Willis Tower. Which was formally the Sears Tower. Anyhow, if we waited about 20 minutes to get to the top of the tower, I’m probably exaggerating. 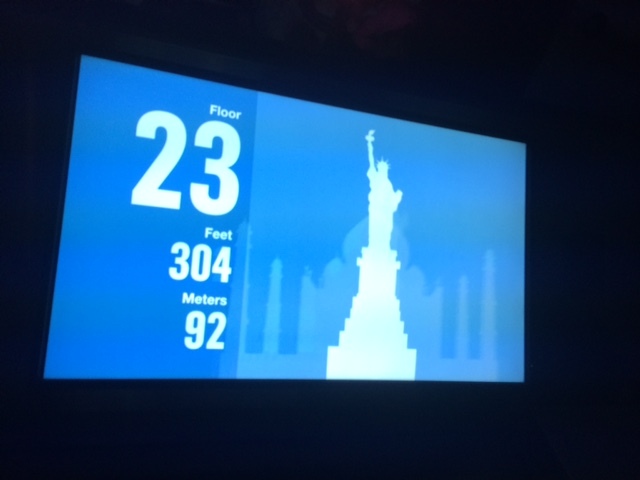 One of the kids’ favorite features was the elevator’s screen, where the higher you climbed, the more photos it’d show in height comparison. The Taj Mahal and the Statue of Liberty were some of our favorites! Once at the top, the views were absolutely breathtaking! You could see a total 360 degree view of Chicago. 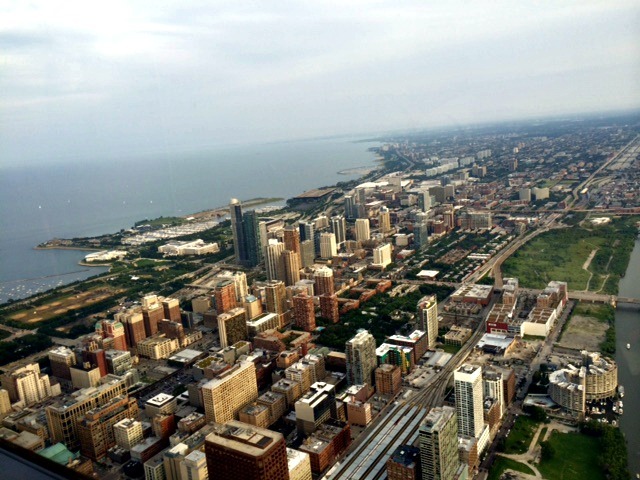 It’s such a beautiful city from the ground, but to see it from the 103rd floor is something else. I was a little disappointed to see the huge line for the glass ledge. 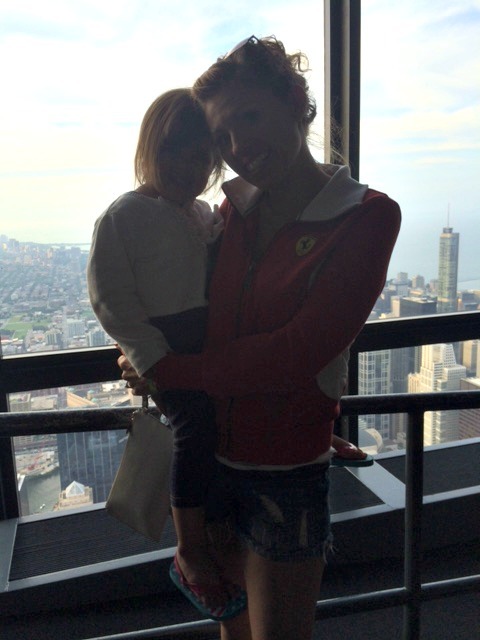 Who doesn’t want to stand on a glass ledge that is only a couple of inches thick above 103 floors of concrete? I was all for it, but the rest of my family not so much. Unfortunately I didn’t get to experience it this time. Boo! But I would totally go back and try again. We had a pizza reservation calling our names, and we did not want to be late for that!